Surfland Bait and Tackle – Plum Island Fishing » Skip Montello, Let’s Go Catching. April 9. 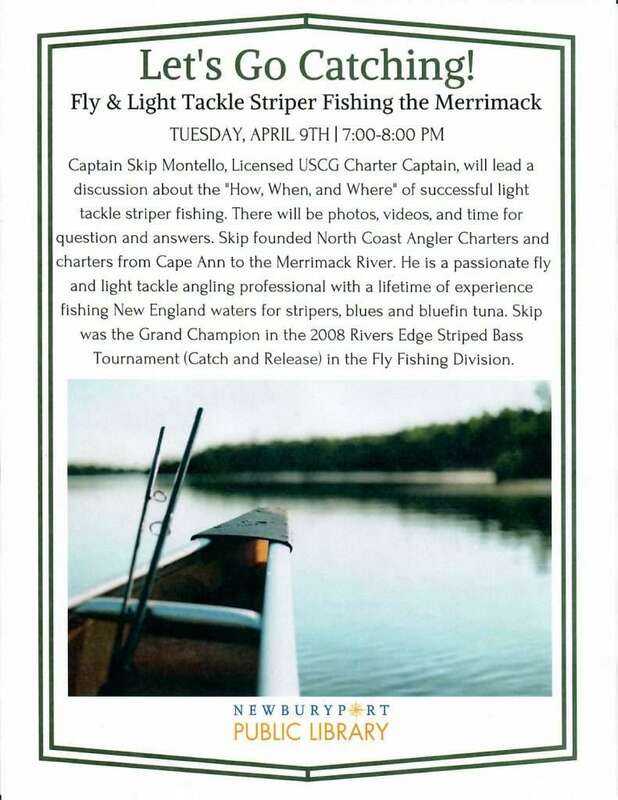 Captain Skip Montello, Licensed USCG Charter Captain, will lead a discussion and slideshow about the “How, When, and Where” of successful light tackle striper fishing. There will be discussion, photos, videos, and time for question and answers. Sry I missed this! Might have to scoot down to buy some gear and see if I can get some contact info to toss a few questions at him.